On June 9, 2018, Gbenga Adegbola, decided to make a quick dash to the airport to pick up a passenger. He is signed up to one of the popular cab hailing apps. A trip that could have taken him about 45 minutes from Egbeda to the International airport, became an adventure. He forgot to tell the owner of the car that he was driving that he decided to take one last trip before turning in the vehicle. The owner, who did not trust Gbenga put a tracking device on the car, so when he saw the car moving away from his house instead of being returned, he called the tracking company to disable the car engine, and the vehicle ‘unexpectedly died’. The owner assumed that either Gbenga planned to steal the car or the car was stolen from Gbenga. Eventually, his suspicions were cleared and Gbenga continued his way to the airport. “It’s sad. If it was my own car it would not be like this” he lamented to Bounce News. 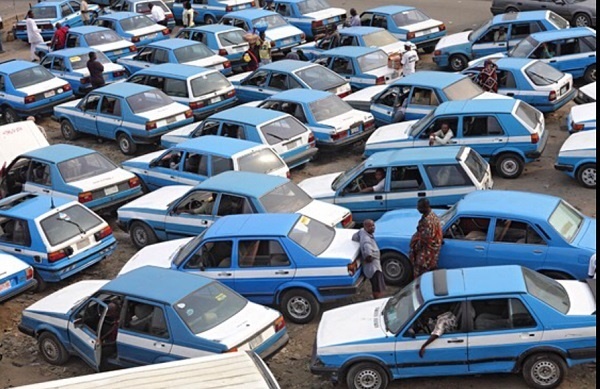 Ayodele Salami, who also relies on being a driver for various cab hailing apps to make ends meet, said owners of the cars they use for the service were not really interested in the difficulties faced by the drivers in the line of duty. "If your phone spoil you cannot make money, but the owner of the car does not care if your phone has spoiled, all he knows is that he wants his money. "Drivers struggle to make money to remit what they owe the driver, sometimes we have to even borrow money to complete what we owe. "It’s a nice job if you own your own car because you can earn better than even a banker when the car is yours” he said. "A lot of these drivers do not take their jobs seriously. They try to test the patience of the owners", says Seun Alaran a Logistics expert. “Compared to what other cab hailing services require drivers to remit at the end of the week, we charge less, while car owners and other service providers can charge between 60,000 and 45,000 naira, we charge drivers as low as 35,000 Naira, but they still find it hard to remit. "They come up with all kind of excuses. Sometimes I to use my own money to complete the payment to the company because they have owed past the deadline. "Like today (Wednesday, September 5, 2018), a day after the drivers are meant to have made their weekly returns of 35 thousand more than half have not payed anything” he complained. Seun, who has worked with Uber in the past under the partner, equipment and support department, believes that it is just the mindset of the drivers. “They do not take it as work. They see it as a favor, that is why a driver can owe up to 120,000 Naira. "They fail to realize that the car is their office. Do not get me wrong there are good drivers. Based on my dealings with a large pool of drivers, out of let’s say 100 drivers, you would find like 18 good drivers. It’s difficult separating the wheat from the chaff” he said. So how do we turn good drivers out of this alleged lot who are deemed to be unprofessional. “I believe continuous training and retraining of drivers will help, after all the good ones are seeing the advantages of being professional. In fact, sometimes we end up owing these hard-working drivers” he suggested.